Sara Walker is a Junior at Adams this year. She is in IB Visual Arts and takes pictures for The Tower and the yearbook. 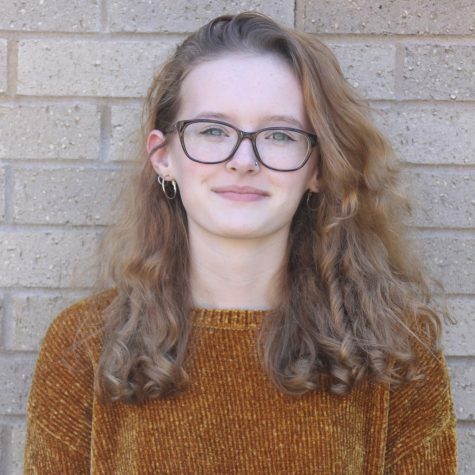 She plans to go to an arts college and find a career based in art and photography, that will somehow make a difference in the world and that would, hopefully, include traveling. Sara loves to travel and hopes to live somewhere in Europe in the future. In the traveling that she has done so far, her favorite places are Dublin, Ireland and Wales. As a kid she originally wanted to be an archaeologist, but as she got older her love for art took over and she couldn't let the idea of taking photos and creating art go. She participated in the 4H fair for four years, growing her appreciation for photography and art. She has won four first place ribbons and was part of the Honor Group at the Indiana State Fair for photography. She has a small collection of vintage cameras and comic books. Sara currently works at Let’s Spoon and has been since the beginning of July. She has four parents and lives between two households. In one of those houses, there are two pet sugar gliders and one rabbit who chews on everything, and in the other there are four younger siblings. Sara also enjoys thrift and vintage shopping, seeing her two best friends, and being fully invested in the many fandoms that she is a part of. She also loves musicals, and her two favorite songs are “Futile Devices” and “Mystery of Love” by Sufjan Stevens. Reading is a one of her favorite pastimes, and her favorite author is Brandon Sanderson, who she has met twice. In the immediate future Sara hopes to learn sign language and to play the ukulele.